"If you're a PowerPC Macintosh user who runs OS X Tiger, you may have noticed a lack of up to date web-browsers. TenFourFox, an up-to-date build of FireFox, is the current king of web-browsers on PowerPCs running Tiger. For those who prefer Safari over Firefox, but were worried about not having an up-to-date browser, your prayers have been answered. TenFourKit is a current build of WebKit (the backbone of Safari, and also what Chrome is built on), is now available for PowerPCs running Tiger. Another great benefit of WebKit based browsers like TenFourKit is their ability to play H.264 video." TenFourKit is a build of WebKit 1.x for Mac OS X 10.4 Tiger, just as Aurorafox (see last week's Vintage Mac News) is for OS X 10.5 Leopard on PowerPC. 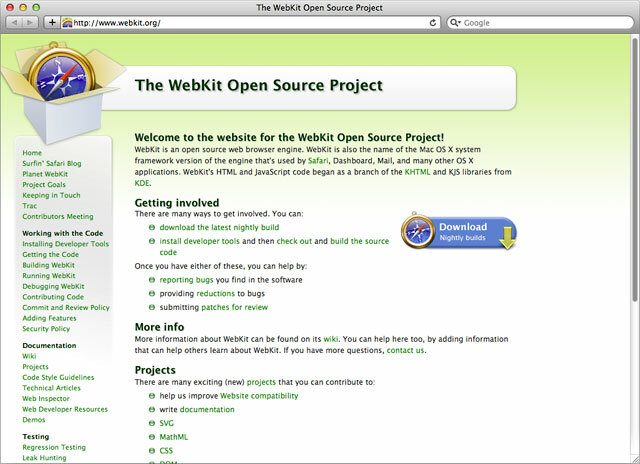 With it, you can run Safari 4.1.3 (the last version for Tiger) with the current version of the 533 version of WebKit 1.x. TenFourFox 10.0.7 is a PowerPC port of Firefox ESR 10 that brings most of the latter's feature set to older Macs. Version 10.0.7 is a security and bug fix update for TenFourFox 10. TenFourFox uses modified Firefox source code, rewritten to remain compatible with Mac OS X v10.4 and the Power Macintosh. It also contains specific optimizations and special features for PowerPC processors. For this reason, it is not exactly the same as Firefox. However, it is intended to be as compatible with it as possible, including most add-ons and most standard features. You can treat 10.4Fx as equivalent with Firefox ESR 10.0 in most circumstances, with specific exceptions noted below. TenFourFox is available in optimized versions for G3 processors, two variants of G4 processors: (7400/7450"G4e"), or G5 processors. Note that TenFourFox no longer supports browser plugins, so if you require using Flash, Java or other plugins, do not use TenFourFox. (However, plugins are not extensions. Most add-ons and extensions will work.) 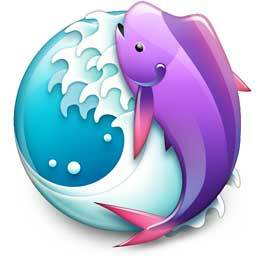 However, add-ons which require an Intel Macintosh will not work with TenFourFox, even if they are otherwise compatible with Firefox 10, and add-ons that require 10.5 Leopard may not be compatible with TenFourFox running on Mac OS X 10.4 Tiger, even if they are compatible with PowerPC. Starting with Firefox 10, Mozilla is offering an extended support release version of Firefox ("Firefox ESR") intended for environments where users are unable to use rapid-release versions of Firefox due to policy or technical constraints. 10.4Fox 10.x is based on this extended support release and is intended for users who wish to remain with a stable browser core. The stable branch will continue to receive bugfixes and security updates, but will not receive new Firefox features (although it may receive certain 10.4Fx-specific features judged important for legacy users). Plugins on PowerPC are of special concern because Mozilla is making updates to their plugin architecture which may require the plugins themselves to be updated, and there are certain difficult-to-correct bugs with them already on Tiger. Most importantly, QuickTime and Adobe Flash for PowerPC are no longer maintained and have known security risks that can crash, perform malicious operations or leak data, and Flash 10.1 is rapidly becoming unsupported by many applications. TenFourFox (hereafter "10.4Fx") requires a G3 Power Macintosh, Mac OS X 10.4.11, 100 MB of free disk space, and 512 MB of RAM. 1 GB of RAM and a G4 or G5 processor is recommended. Video playback is likely to be poor on systems slower than 1.25 GHz; a G5 is recommended. Mac OS X 10.5.8 is supported. "During my morning research, I found a great browser called Shiira. It's a Japanese open source that was working out very well for PowerPC/Intel users until recently. Unfortunately, our Japanese PowerPC friend decided to discontinue this project in 2009 (after 5 years of life), which is too bad because Shiira had a lot of potential as a fast and simple browser, but seemed to also have a lot of bugs to work out. The last version released was 2.3 and the developer's site is not online anymore but if you would like to check this browser out, you can download from the link [below]. "If you take a minute to review some of the comments, you will notice that there are some disappointed people, but there is also a member who is using Shiira as his default browser on a PowerBook G4 running Tiger and he is pretty happy with the performance. Well, the only way to find out what you think is to download it and do your own test drive. Right now, the most important thing for me to find is any software that supports PowerPC! This will make me, and all my readers, very happy!" "This isn't breaking news by any means, but I thought it was worth re-sharing. A lot of websites are starting to give the proverbial 'middle-finger' to PowerPCs running Flash 10 by demanding Flash 11 be installed (which is impossible on PowerPC). Well, there isn't a way to get Flash 11 on PowerPC Macintoshes, but there is a way to trick the website into thinking you have Flash 11. Granted, most PowerPC computers show signs of Post-Traumatic Stress from even the thought of running Flash based content, but if you have a late model PowerPC (Dual G4 or G5), you shouldn't have any serious issues running a Flash video." "Installing [OS X 10.5] Leopard on unsupported PowerPC Macs (like less than 867 MHz requirements)." "Unfortunately, my DVD requirements weren't quite right for our machine but after a few hours browsing different sites, I finally found this amazing application/plugin called LeopardAssist. And what this app does is essentially virtualizes a 933 MHz processor in such a way that your system will think you have all the requirements necessary to finish the task of formatting your less than 867 MHz machine! I was very excited to see the results and everything seemed to be working perfectly and finally I was having no more errors." I learned how to cheat the system requirements without having to buy another 10.5! Publisher's note: LeopardAssist is based on a technique developed by Dylan McDermond and first shared on Low End Mac shortly after Leopard's release.